Washington (CNN) – Iowa Democratic Rep. Bruce Braley, a leading candidate for the U.S. Senate this year, was put on the defensive Tuesday by a video clip showing him warning that a Republican Senate takeover could leave the GOP's Chuck Grassley - "a farmer from Iowa who never went to law school" - in charge of the powerful Senate Judiciary Committee. If the GOP captures the Senate majority, "you might have a farmer from Iowa who never went to law school, never practiced law, serving as the next chair of the Senate Judiciary Committee," Braley says in the video. Braley also tells a group of supporters in the video that "if you help me win this race, you may have someone with your background, your experience, your voice, someone who’s been literally fighting tort reform for thirty years, in a visible or public way” on the Judiciary panel. In a written statement, Braley apologized for his remarks. "I apologize to Senator Grassley and anyone I may have offended," he said. "I respect Senator Grassley and enjoy our working relationship even though we disagree on some issues." Braley also noted that both of his parents "grew up on Iowa farms during the Great Depression. It deeply influenced who they are and who I am, and gave me a profound appreciation for what farmers do for the world." The video of Braley's remarks was e-mailed by America Rising PAC, a GOP opposition research group founded in part by Matt Rhodes, former Massachusetts Gov. Mitt Romney's 2012 campaign manager. The group's executive director, Tim Miller, told CNN that Braley made the remarks at a campaign event in Corpus Christi, Texas. A statement on America Rising's web site says Braley made his remarks while addressing a group of lawyers at a fundraiser. "Mocking a 'farmer from Iowa who never went to law school' seems like a bizarre strategy for courting voters in Iowa," the statement concludes. "While chumming with his fellow trial lawyers at a fundraiser, Bruce Braley revealed what low regard he holds Iowa farmers and the honorable Sen. Chuck Grassley," Miller told CNN. 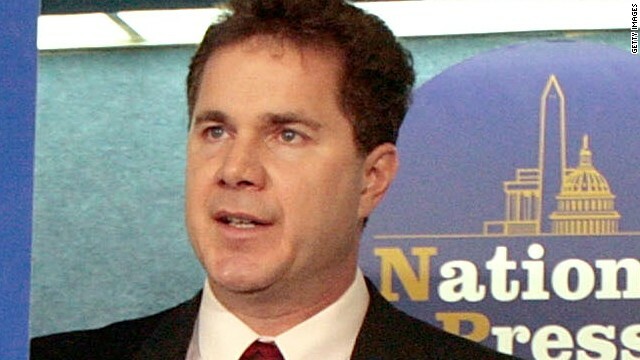 Braley, a four-term congressman, is a former head of the Iowa Trial Lawyers Association. “I’m grateful to have the support of hundreds of farmers across Iowa," Braley said. The 57-year-old Braley, who currently represents Iowa's 1st Congressional District based in Cedar Rapids and Dubuque, is generally considered a frontrunner to fill the seat being vacated next year by five-term Democratic Sen. Tom Harkin. Also running for the Iowa seat is Republican state Sen. Joni Ernst. An ad released by her campaign Tuesday also used the profession of farming to make a point about politics, but in a very different way. "I grew up castrating hogs on an Iowa farm so when I get to Washington I'll know how to cut pork," Ernst says in the 30 second ad. "Washington's full of big spenders, let’s make them squeal." In a statement on her campaign's website Ernst also called for Braley to apologize. "How out of touch with Iowa can you be? I call on Braley to immediately apologize to Senator Grassley, and every other farmer in Iowa." The most recent non-partisan public opinion polling, conducted by Quinnipiac University earlier this month, showed Braley with large single-digit and small double-digit leads over many of his potential GOP opponents in the November general election, with about a quarter of Hawkeye State voters unsure. Iowa holds its Senate primary in June. While there's a crowded field vying for the GOP nomination, Braley faces no serious opposition for the Democratic nomination. He's been "fighting tort reform for 30 years" ....should make some excellent campaign commercials for Republicans too. America has 75% of the world's lawyers, all trying to sue themselves rich, and it costs Americans billions, makes everything more expensive and less efficient. This man is part of a HUGE problem...not part of any solution. Yes he Mr Braley a another dem jumping the gun doing the two step he must have forgot he was running for office in one of the U.S major farm states just like clinton and obama was against GLBFT? rights before they visited hollywood . Dems dont care you they want your vote . . . . I think the issue here is not that Grassley is a farmer but that he isn't a lawyer. Just Republican spin trying to change the issue. Grassley is a clown and will be removed. If braley wins Iowa will have a senator who stands infront of a number of liquor bottles campaigning inTexas.. Hmmmm. What thehay is wrong with farmers anyway? Get rid of Grassley he is the problem. Having someone who isn't a lawyer as chairman of the Judiciary Committee would be a good thing! Chuck Grassley is a Lobbyist first and for most . I'm a Democrat, and I'll always vote for grassley. He stands up for Iowans and their needs even if it doesn't serve other states.